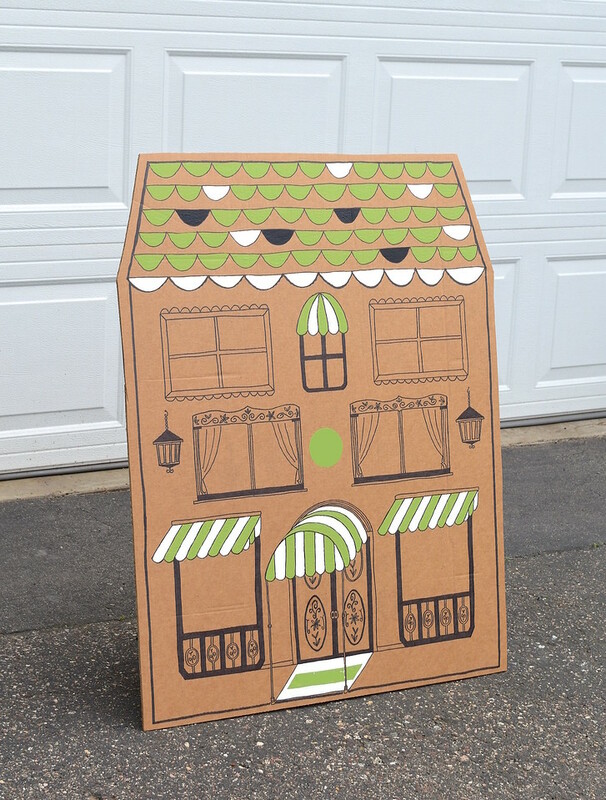 This is Post #2 in a trilogy of cardboard posts! 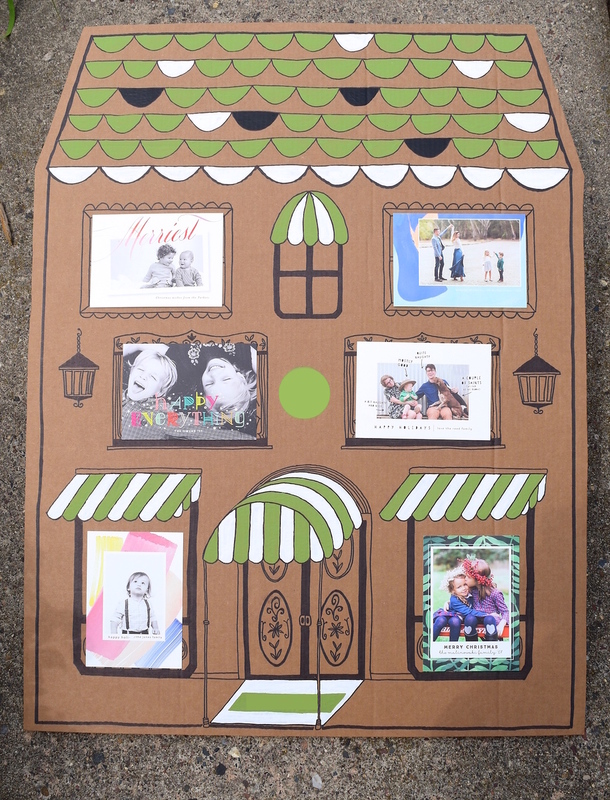 Post #1 is here, in which I talk about how I usually leave my cardboard projects in their natural brown state but wish I didn't. 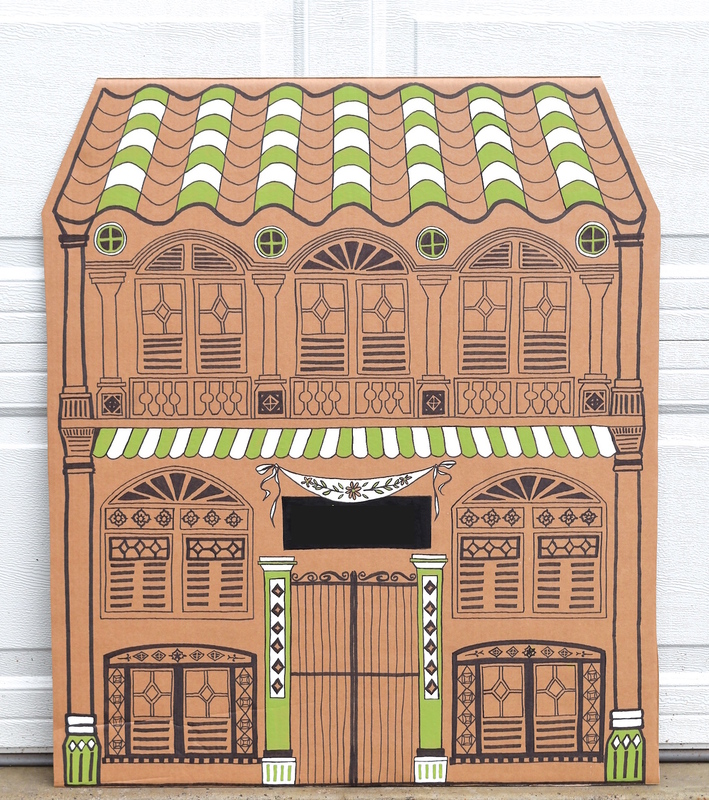 but a facade of a house. 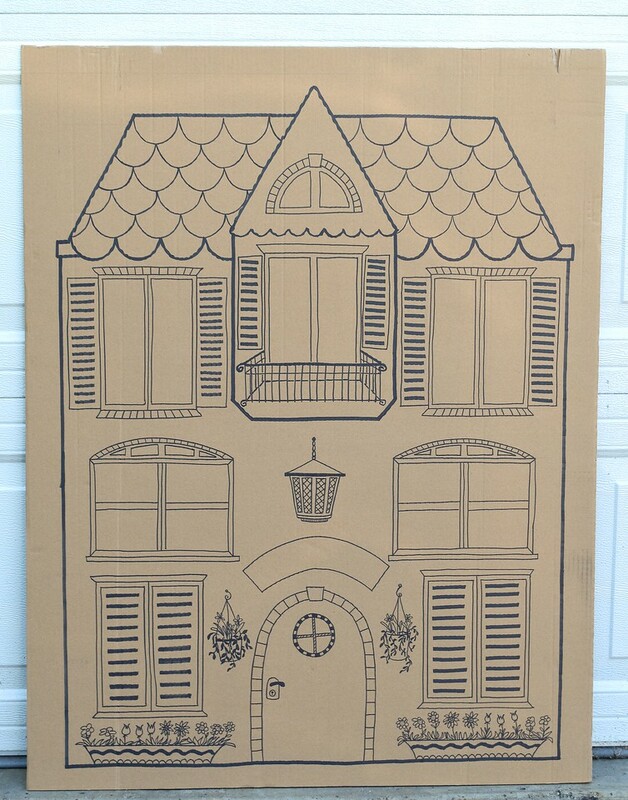 Actually, I made three houses. 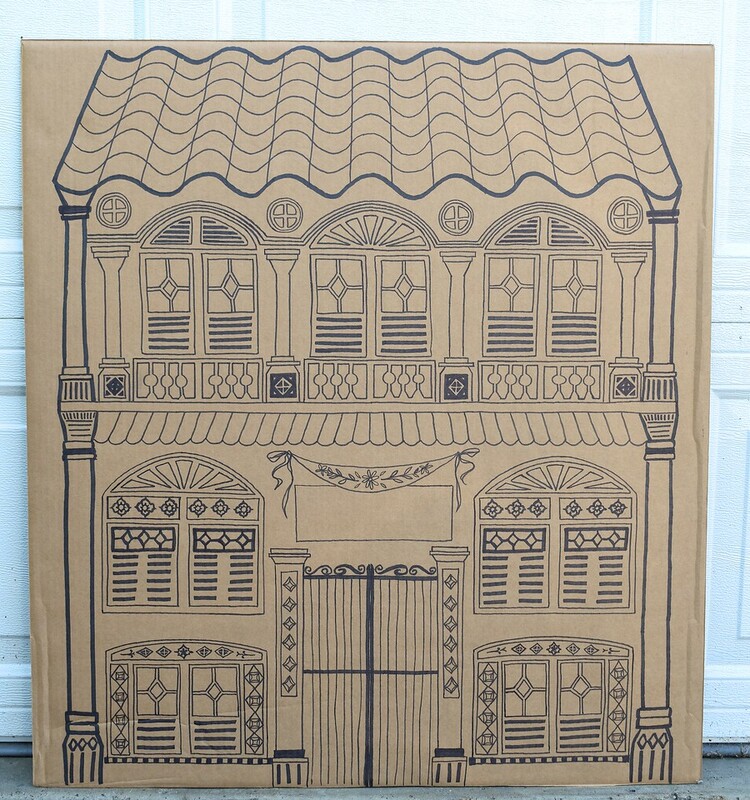 And by "made", I really mean "drew with Sharpie on a big flat piece of cardboard." 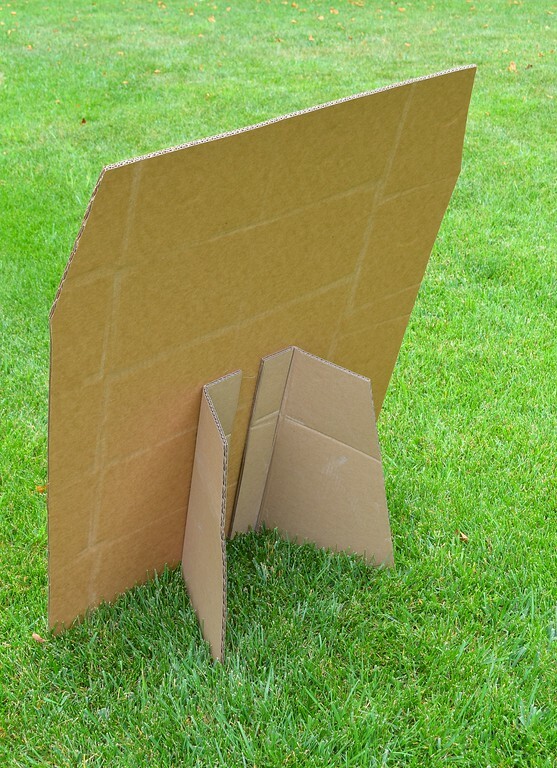 The big flat pieces of cardboard were in themselves an adventure to procure. 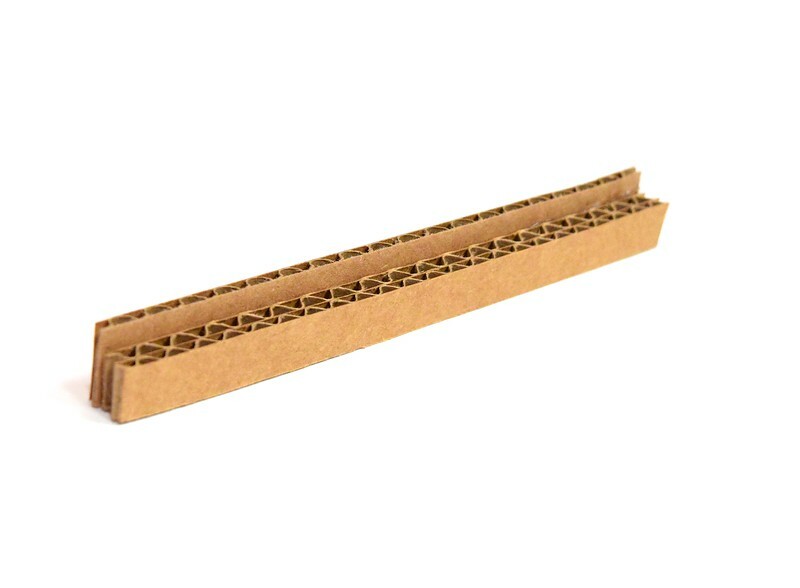 I have several go-to stores including IKEA and Costco where I hunt for cardboard, and at which the success rate is usually very high, but it does require time and effort, not to mention some tricky driving after because one's rear view mirror shows, rather than the road, the gargantuan cardboard pieces hogging the back of the car instead. 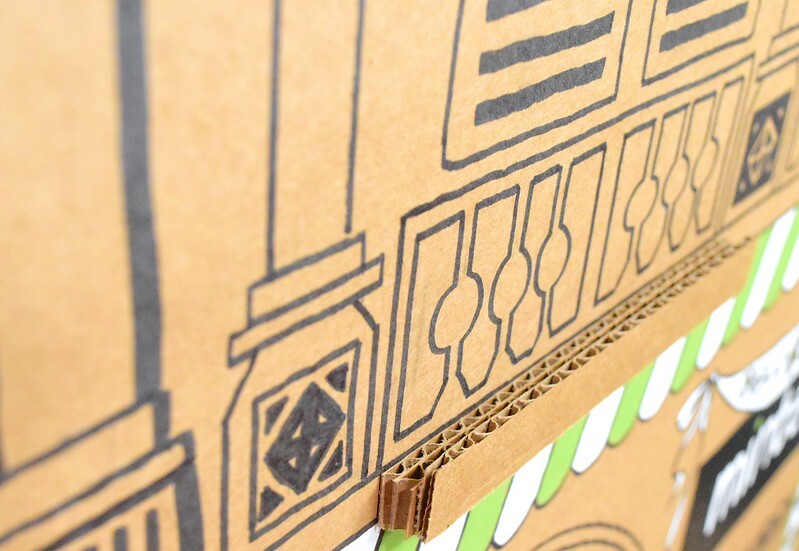 Still, it's so worth it - there is nothing quite like the thrill of a cardboard hunt. But we were talking about houses. 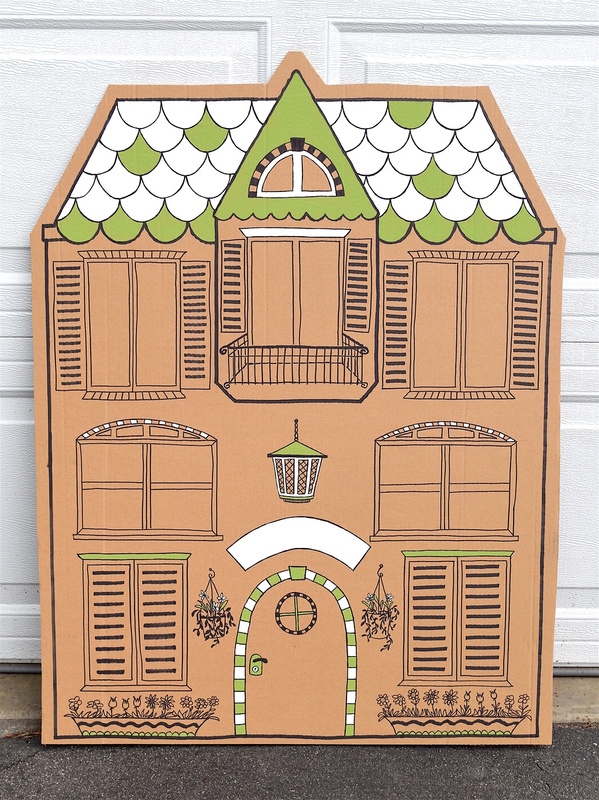 This was house #1: The Residential Mansion. 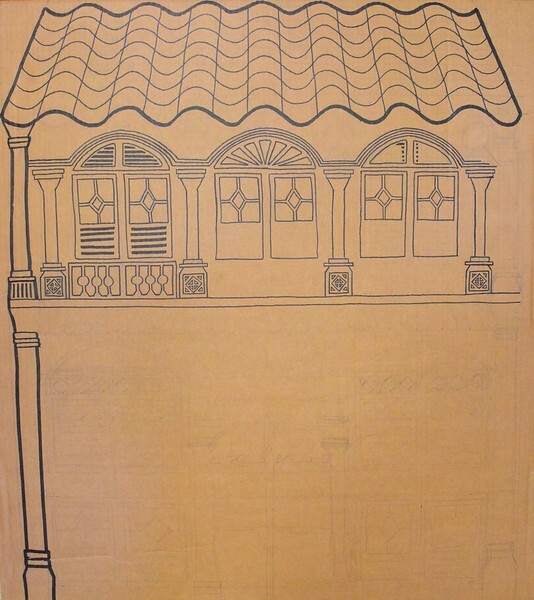 House #3: the Peranakan Shophouse from Singapore circa early 1900s. 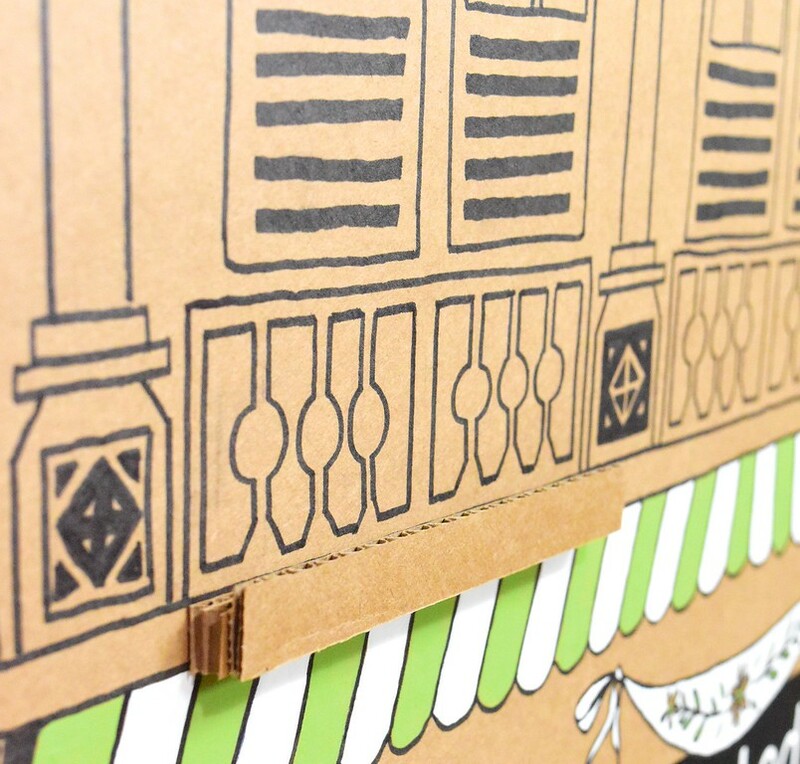 When the details were all drawn in, I filled them in with acrylic paint. 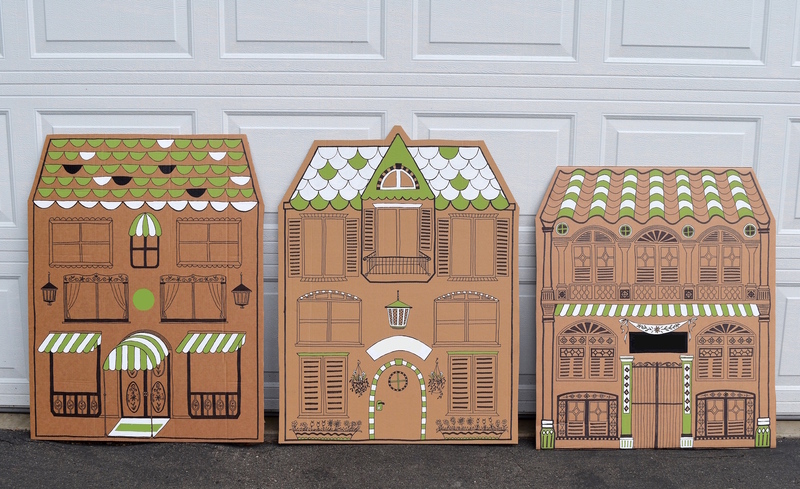 and no more than accents, because these houses were display boards to showcase multicolored holiday cards, and we wanted those to stand out. Here they are, lined up against my garage door. This is the stand-up support mechanism. 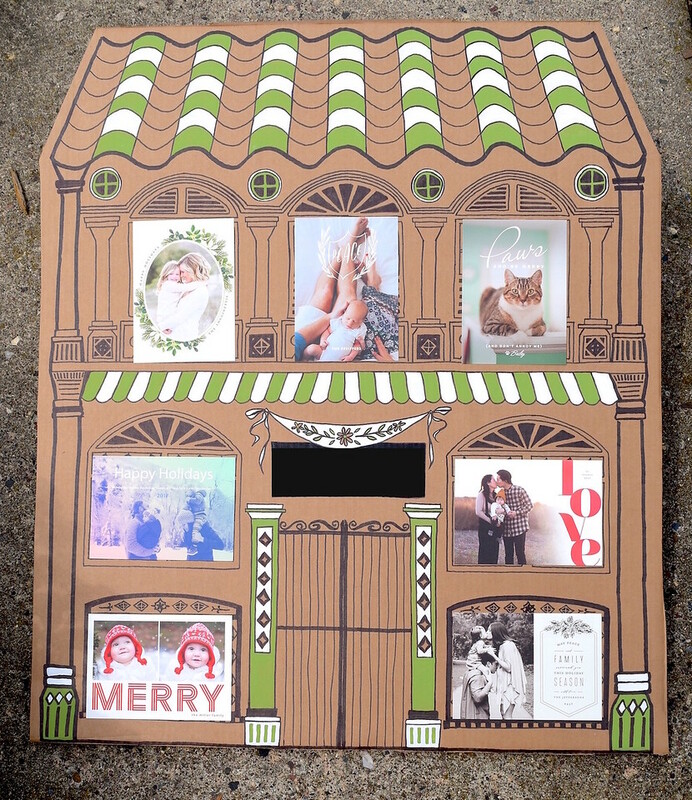 Here's how a flat facade turns into a display board. and glue that along the windowsill. and it won't slip off. 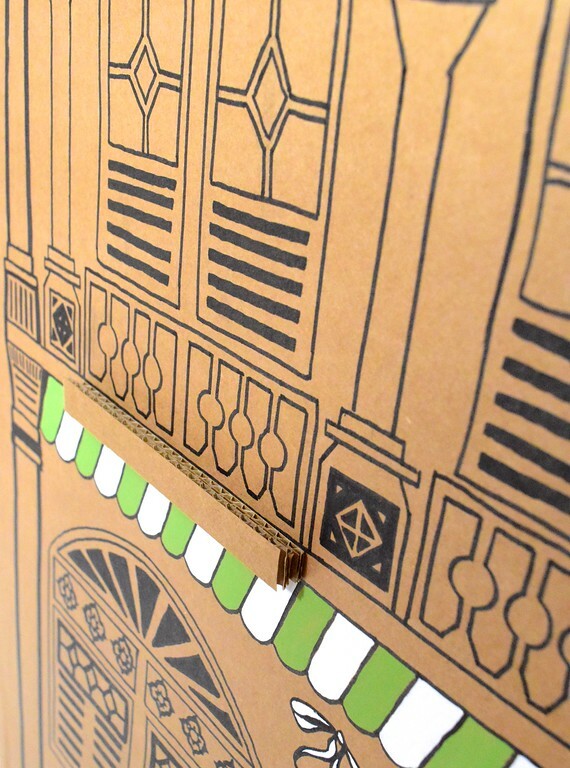 The house display boards and ledges were packed separately, and the ledges then attached at the destination. 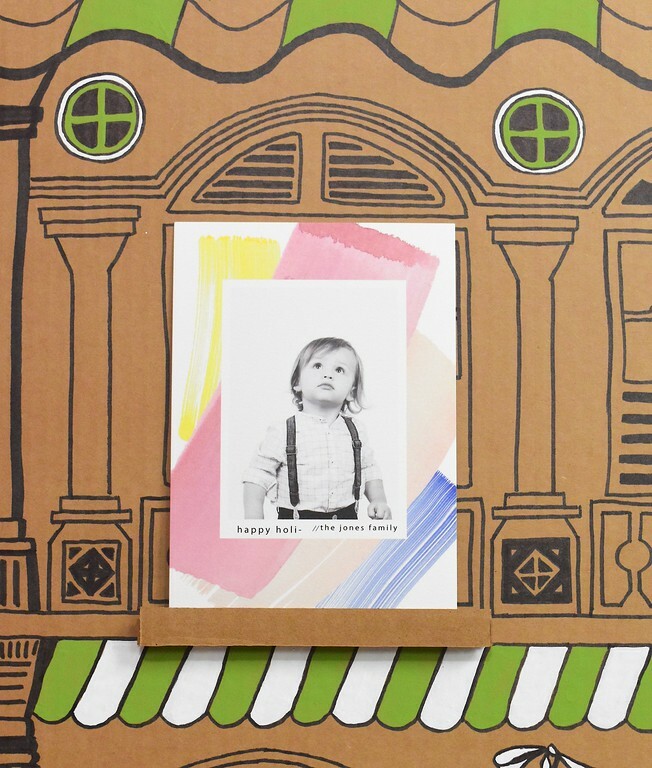 Here are some in-action shots with card samples from a previous year. 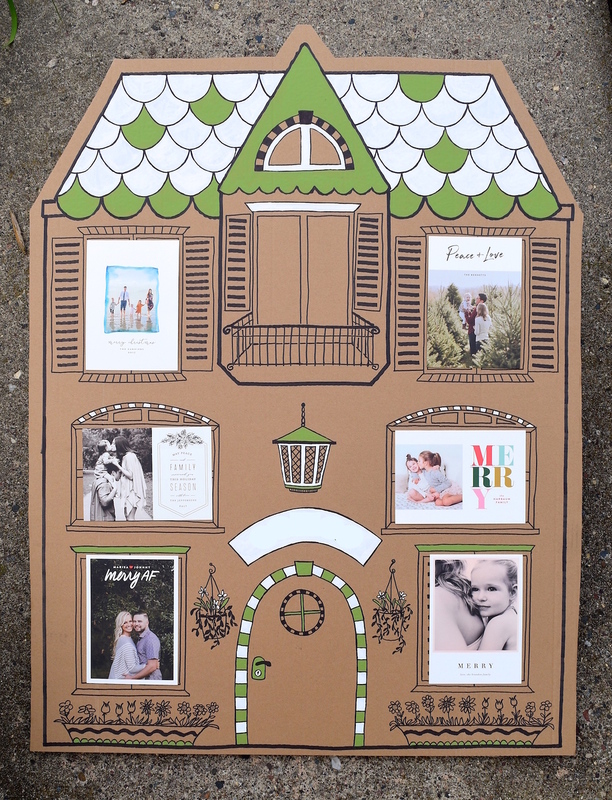 Not many of us have space in our homes for a display board of this size, but imagine this on a smaller scale, perhaps for just one or two photos - a single window, a pair of double doors, even a cardboard easel for one. 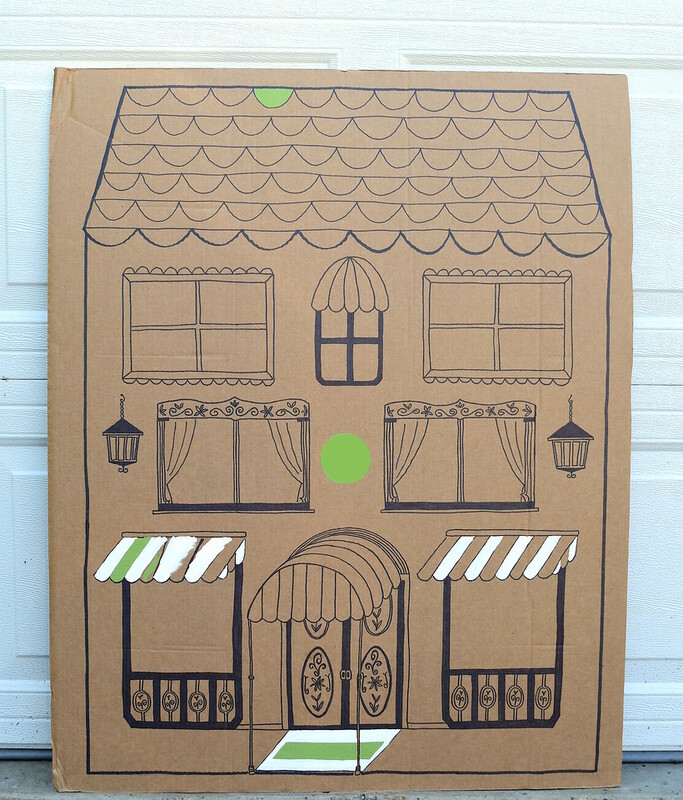 Unlimited possibilities with just a Sharpie and (if you're so inclined) some paint. 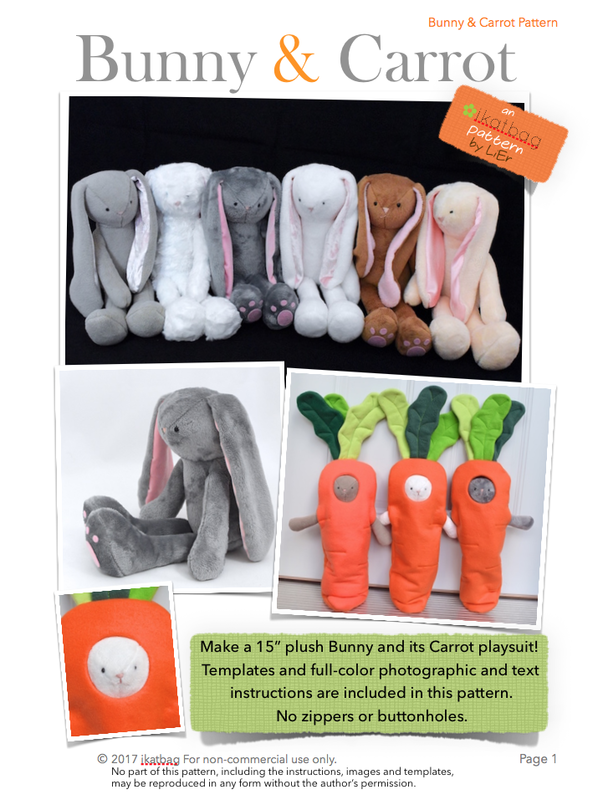 First: Thank you for responding to my call for testers for the Bunny & Carrot pattern. The call for testers is now closed. I am no longer accepting responses. That said, you guys are the best. I was floored by the number of offers to test this pattern. There were so many fun stories to read in your background bios - the experiences you've had sewing, the kinds of projects under your belts, the work you do in the professional world that utilizes your sewing skills and talents. It was very hard to choose just four. I eventually picked six who represented a wide variety of skill levels and experiences which fit the target users of this sewing pattern. 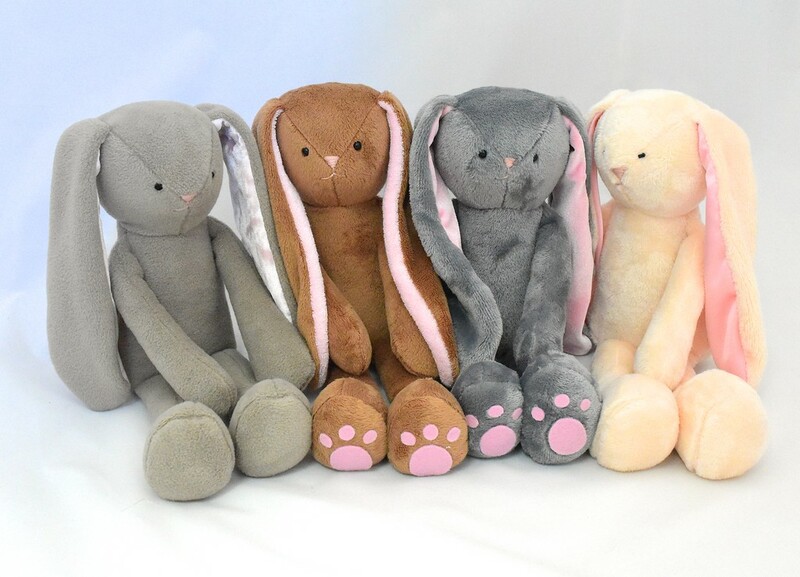 Some have more years of sewing experience than I have years of life, and some are just starting out in stuffedtoydom. Some have been pattern testers in the past and some haven't. Some are self-declared perfectionists and some love the journey even more than the destination. I am very excited to have the pattern in their hands (imagine how much more excited I am to have it ultimately in yours!). But by selecting them, I was unable to select you, and I wish I could've have, because boy, do you guys have serious skills. Thank you for sharing photos of your projects, for your interest in the pattern, and for your willingness to put nose to grindstone (or presser foot) for me. Pattern-testing is not glamorous in the way that pattern-reviewing is. It is hard work, and enjoyable though it may also be, for the next week or so, these ladies will have to think like target users and be prescriptive in their sewing. I am saving the contact details of all who submitted their names for consideration, however. Because there will be more ikatbag patterns in the future and maybe some of you would be perfect to test those and I wouldn't have to write an entire "recruitment" post like the last one. I could just ask one of you guys! But that would be Other Patterns for Other Times. I also want to acknowledge your support in this pattern. 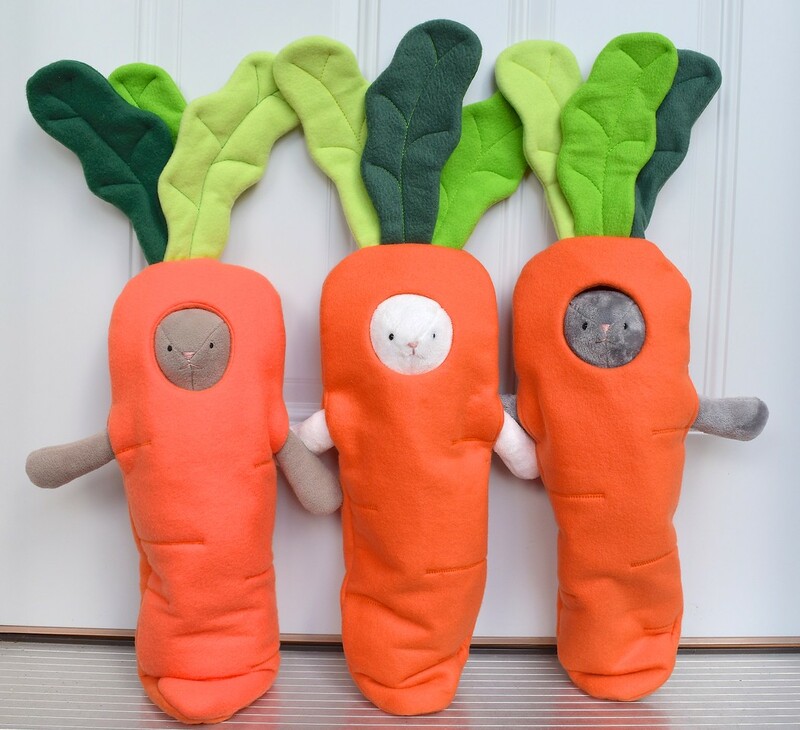 So: anyone who'd responded to my call for testers before this post went live gets a discount on the Bunny & Carrot pattern when it's available for sale (mid-November, one hopes). 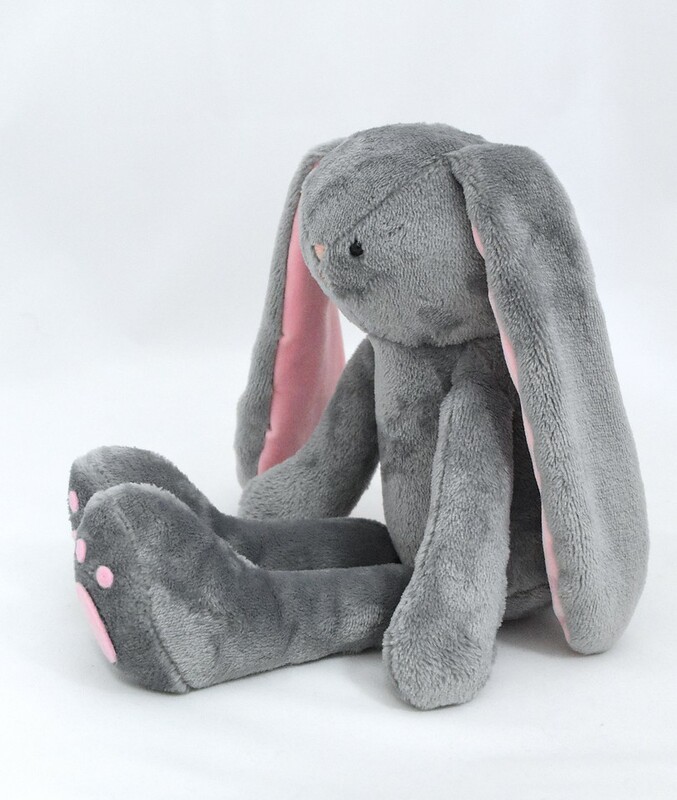 I'll email you guys with a code of some sort when we launch the pattern. I can't wait! 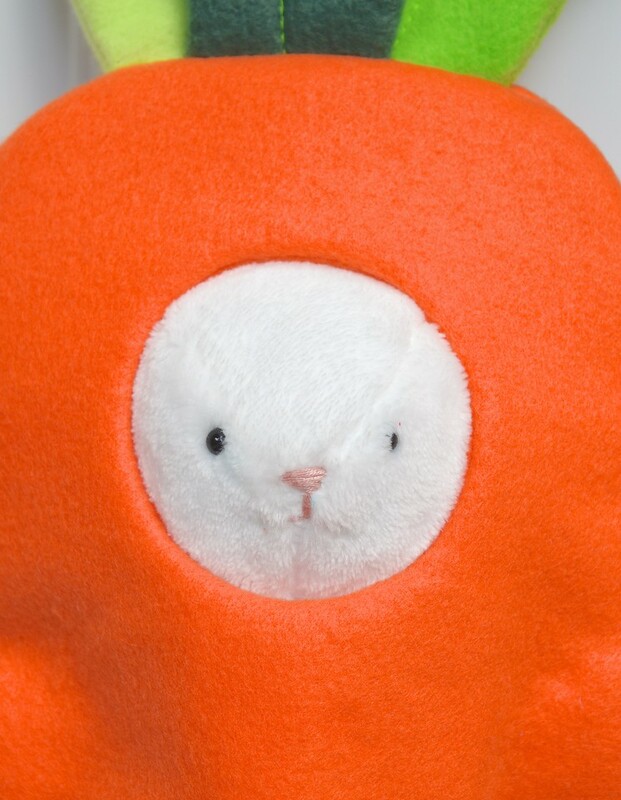 This is the head of one of the earlier prototype bunnies. 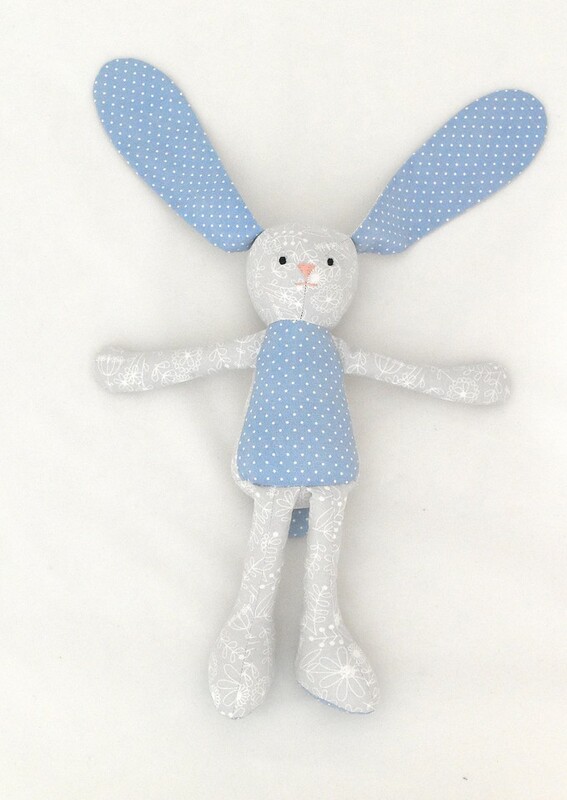 There are quite a few of these disembodied bunny parts lying around in my sewing room. Kate does not like this, naturally, but this is the sad consequence of making stuffed toys - sometimes you kick aside a pile of fabric and a head rolls out. Or an amputated limb. 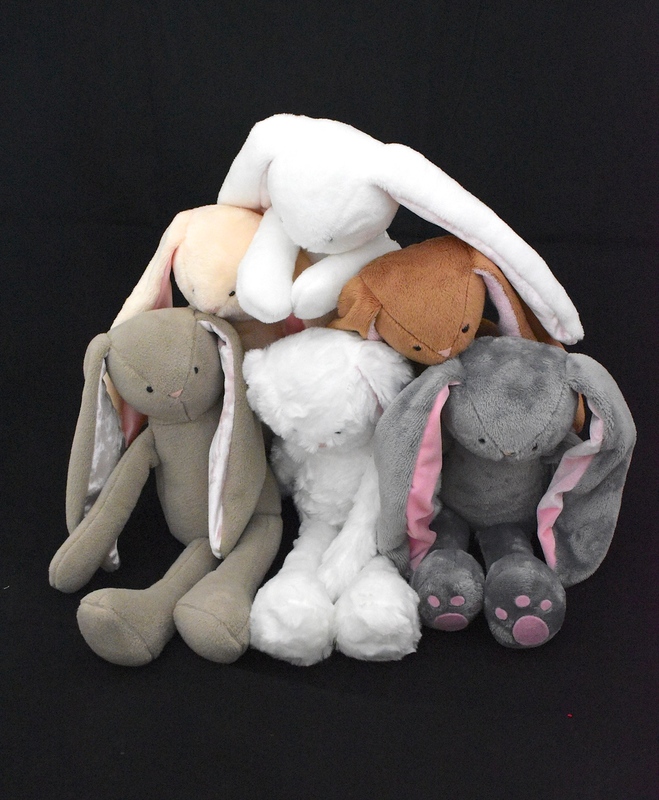 This here is from an outtake (lest you think these Bunnies are well-behaved - were you misled by their innocent faces? Big mistake.). And now I must sew those Halloween costumes. I have two days before the kids' Fall Parties at school when they'll need those costumes. As of yesterday, said "costumes" were still just folded piles of fresh-from-the-store fabric. Um. This might be a new record, both for speed and - regrettably - shoddy workmanship. I have emerged from my cave. Someday I might write a post on what it's like to work from home, and all the many (unsuccessful) ways I've tried to divide my time between paid work stuff (sewing, blogging, the shop), unpaid work stuff (motherhood, running the house, school-related volunteering whatchamacallits) and Sanity Stuff (chocolate, mostly, and sometimes swimming). This week, for instance, I worked 24 hours on this newest sewing pattern and felt like it's been a productive week. But that isn't necessarily typical, because some weeks I work zero hours. And other weeks, like during Halloween costume sewing season, I work more hours per day than I ever did as a classroom teacher. I'm sharing this to explain the depths of my absurdity. Real story: it took me several years to admit to myself that all this sewing-and-blogging-and-patternmaking-and-Etsy-shop-stocking was an actual job. Several years just to admit that. To myself (never mind other people). See, before that, I'd effectively convinced myself this was merely a Hobby That Got Slightly Obsessive. It's funny to look back on those denial years and remember my bewilderment at the end of each day of StayAtHomeMotherhood, when I'd wonder where on earth my time had gone, and how it was that my other StayAtHome friends could go to bed by midnight and shop for new furniture for their living rooms with their spare time and clean their homes regularly and volunteer in their kids' schools. Why, I'd asked myself, did my days feel different? And different . . . how? It was both pathetic and hilarious when it finally hit me: wait . . .oh, I have a second job! So that's where the time went! But you want to know about the Bunnies. 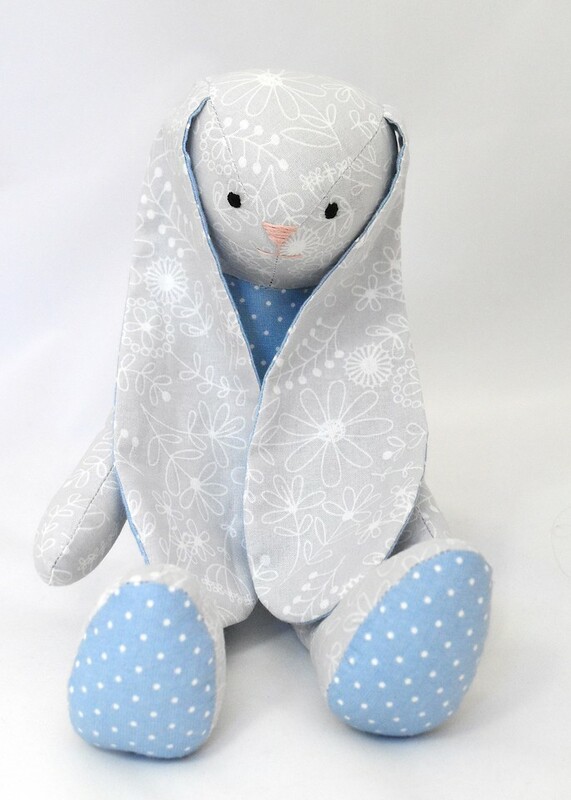 You can read the origins of this Bunny pattern here. It's been a bit of a journey, as all patterns are, but I am happy to say that it is now ready enough to put forth a call for testers. First, though, let me tell you a bit about this pattern. 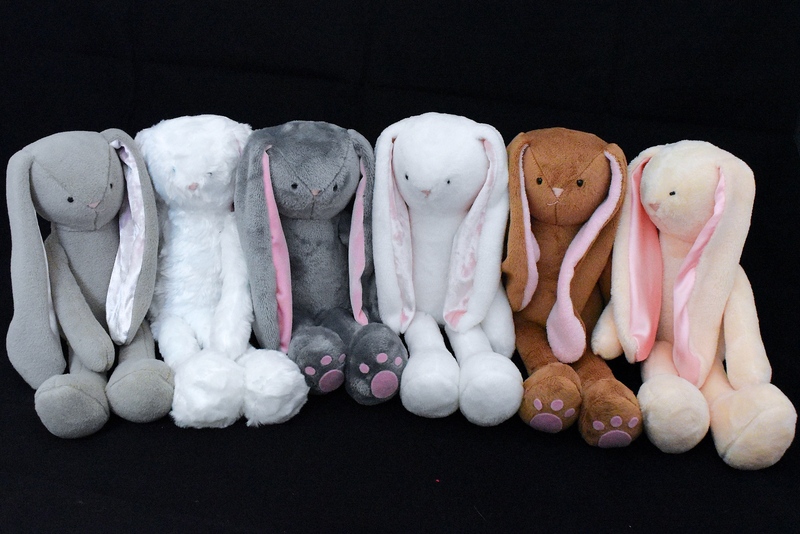 You might've noticed from the teaser photos that the sample Bunnies seem to be made of plush faux-fur fabrics. luxe fleece with velour ear lining. 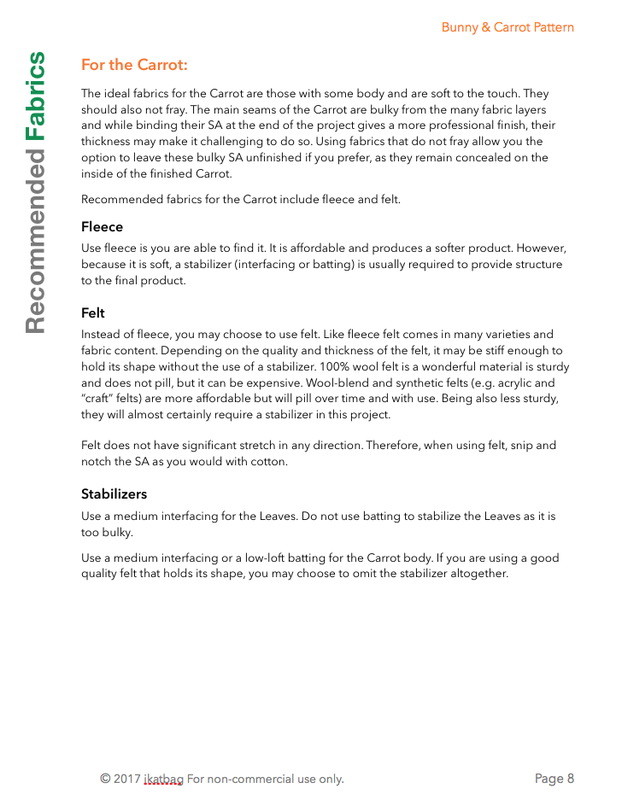 while concurrently tweaking the templates toward the right proportions and form for these recommended fabrics. 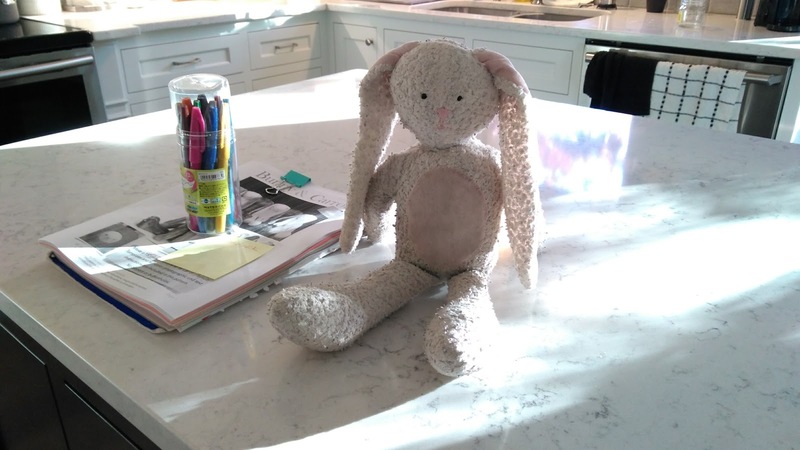 The verdict: fleece and faux fur are perfect, but typical knits aren't, because they stretch in too many directions and in too unpredictable a manner for the finished Bunny to keep its shape. not to mention the endless mix-and-match patchwork possibilities. Some specs now. 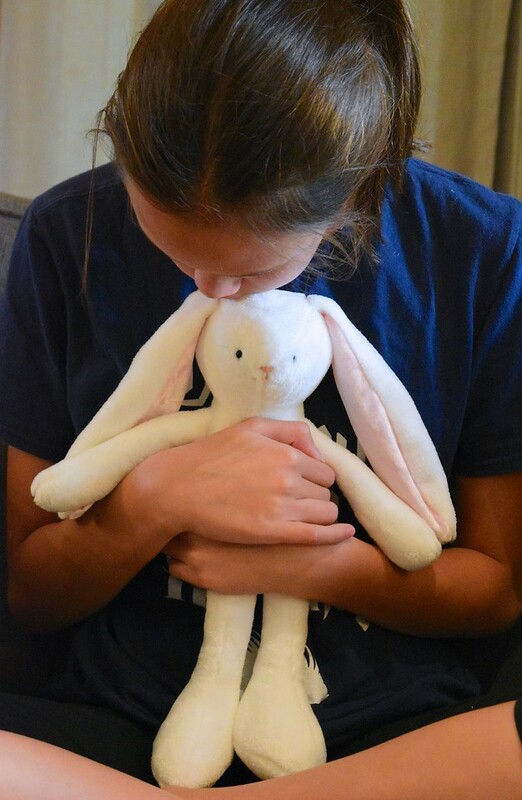 Here is my teenager holding a Bunny to demonstrate its size: 15" tall from head to toe. 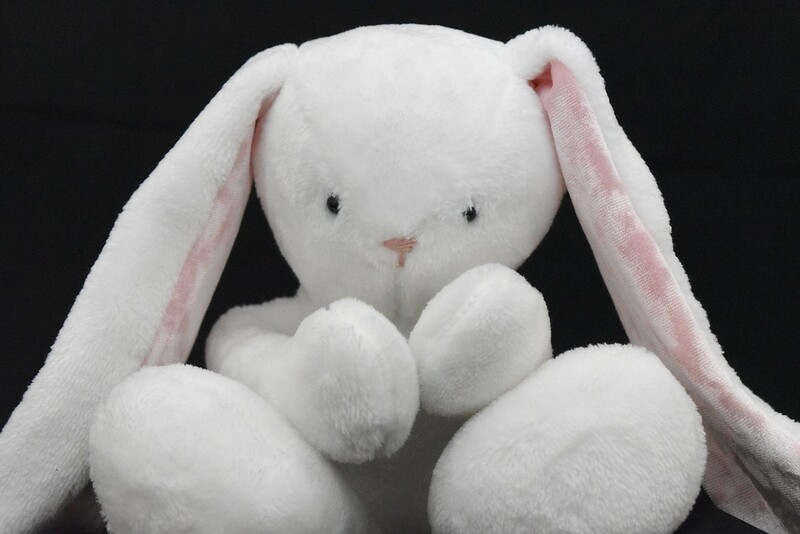 And that's Part I: the Bunny. 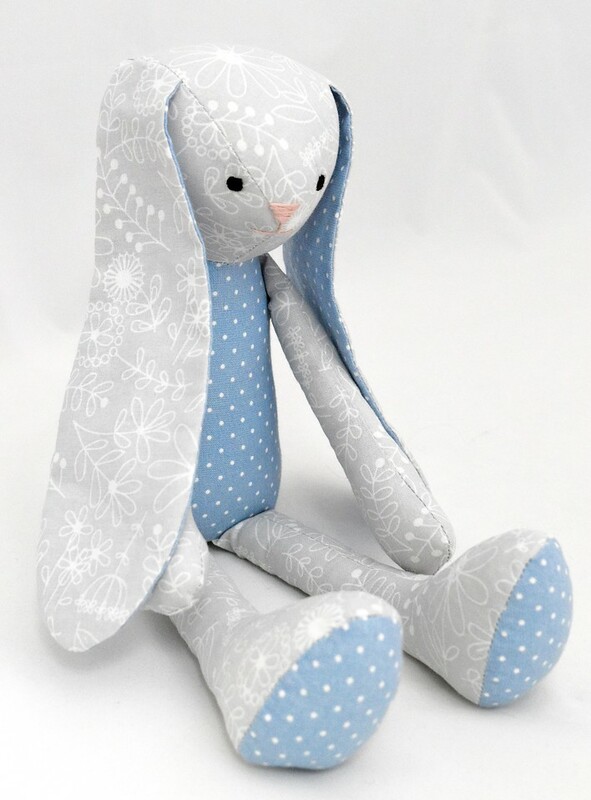 Now, if you remember that this Bunny originated from the imagination of my (then) seven-year-old kid, you might also remember that this same kid also designed a playsuit for her Bunny (the one that started this all). Behold: a face in a circle. Adults couldn't think of things like this; our brains are wired to be practical and concrete and boring and efficient. Children, however, see magic. This is a very Anne Geddes photo, I realize. 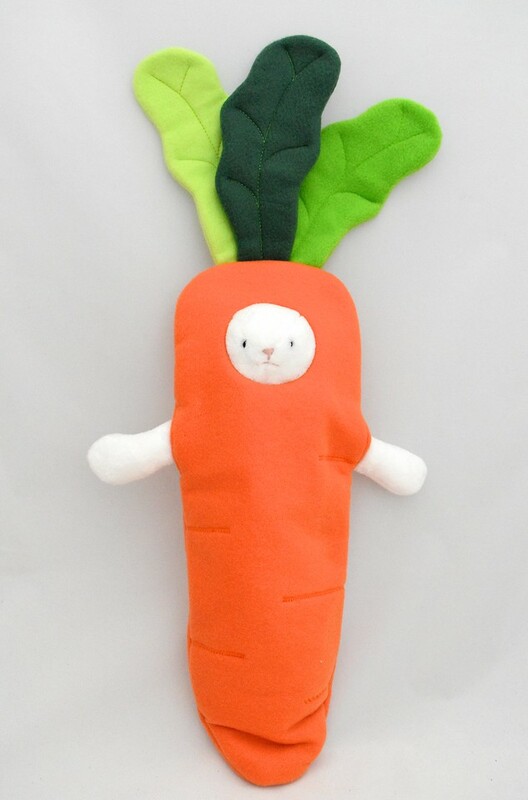 Anyway, this is Part II: the Carrot. 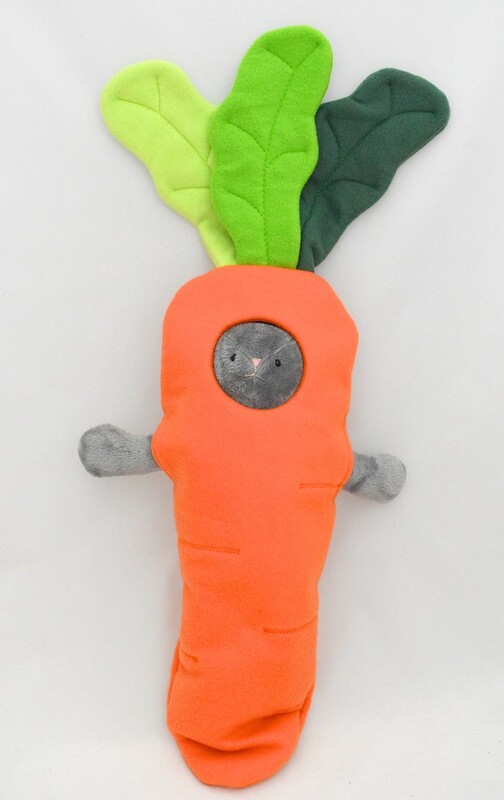 This is how big the carrot suit is: 26" from the top of the leaves to the bottom tip of the carrot. If this sewing pattern had only one aim, which was to produce this next photo, I'd still feel that those samples and hours of tweaking and photo-editing were worth it. Because this - this face, peeking out of the carrot window - I have no words for it. Let's talk about the pattern now. 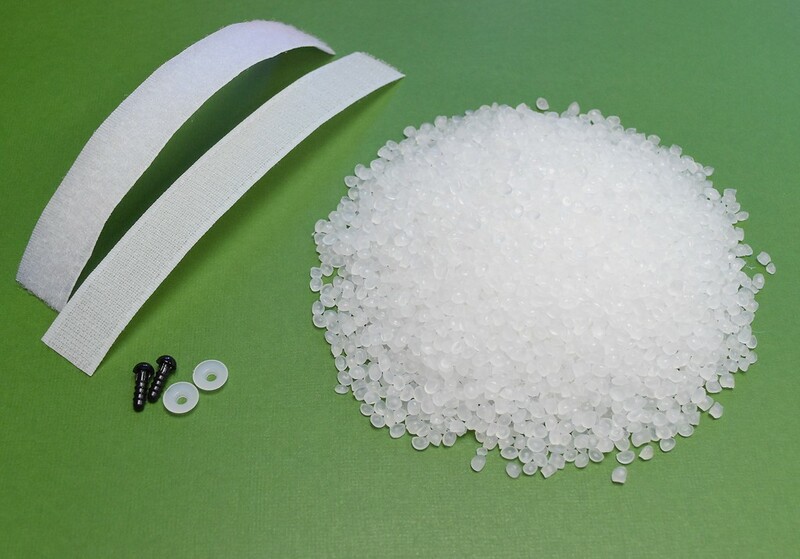 Next is the supplies/materials list. 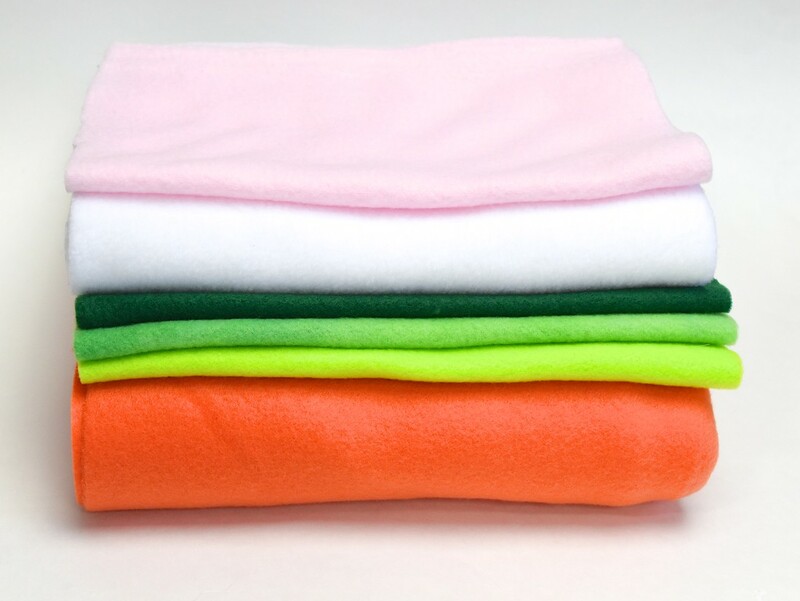 you can make the Carrot from 1/2 yd of 60" wide fleece. 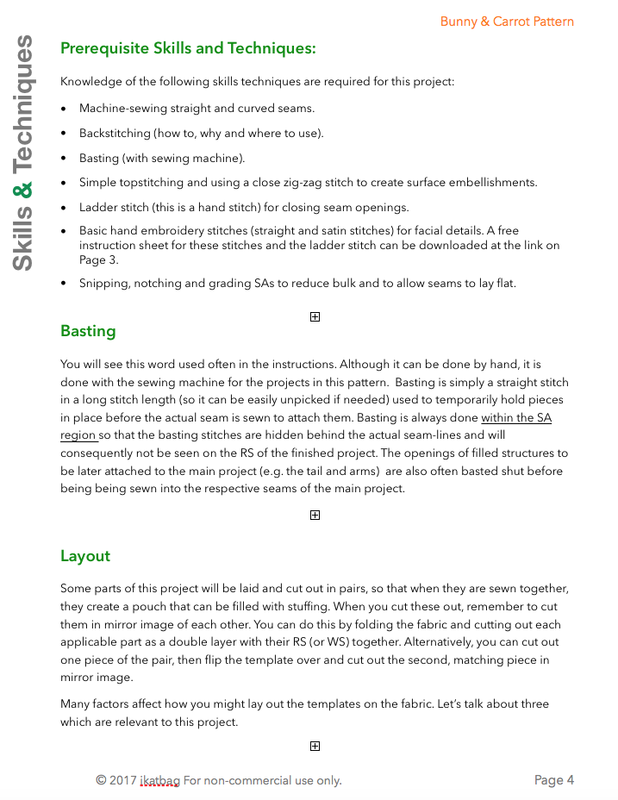 And here is a list of prerequisite skills, and more detailed explanations of some of the common techniques used in the pattern. Let's talk about pattern-testing now. 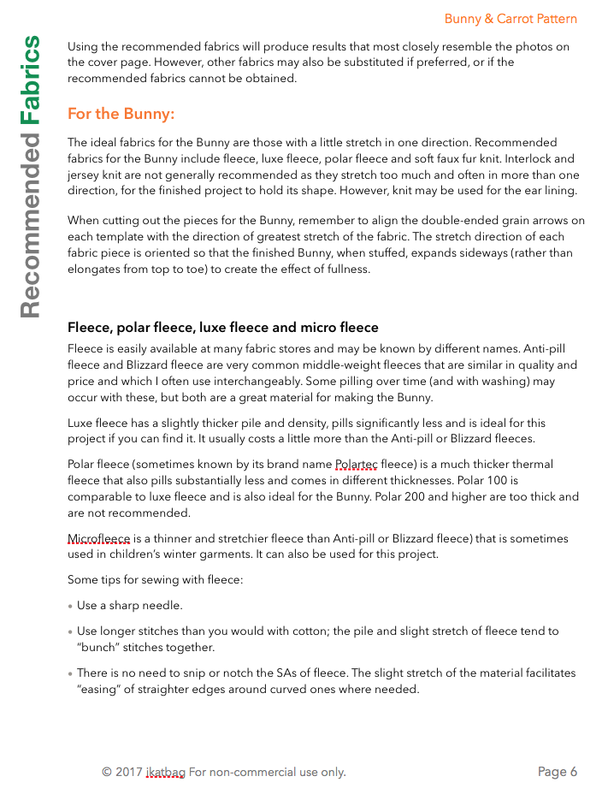 Before submitting your name for consideration for testing the Bunny & Carrot pattern, please read all the information below so that you know what's required of you. 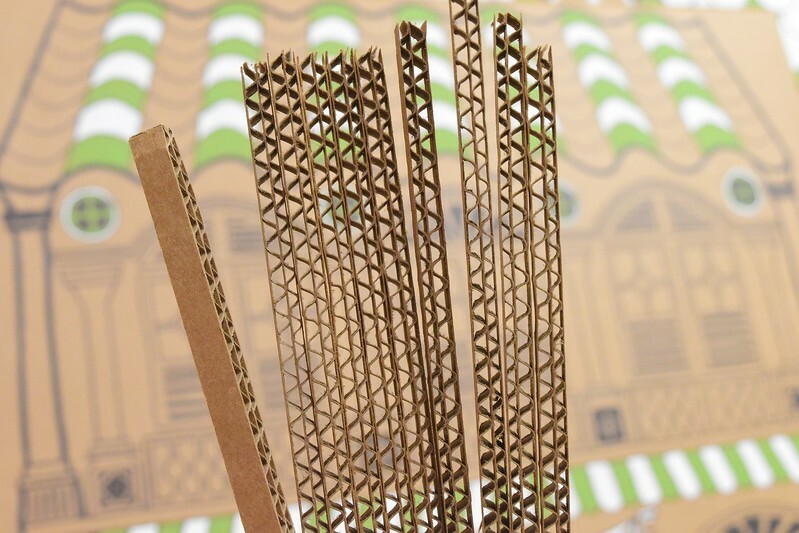 About 7-10 days from the time you receive the PDF pattern file (via email) and materials (by post; more on this later), you should have completed your tasks and submitted the feedback to me via email. This means you're committing to the period Oct 24 through Nov 4 2017. 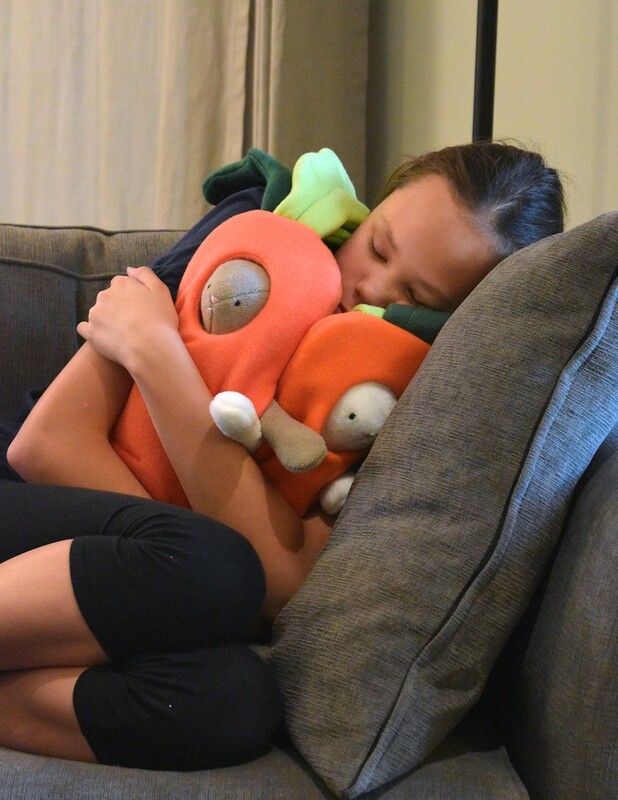 I understand that this is Halloween-sewing time, and some of us are up to our eyeballs in costumery (me, included). If you're able to make it happen, go for it. But if it means staying up till 4 am to get this done, please pass on this and choose sleep instead, okay? There will be other patterns and other calls for testers in the future. I also understand that despite your best intentions, unforeseen circumstances can mess things up, and if that happens to you while you're testing my pattern, don't freak. Life happens. Just let me know and we'll figure something out. Finally, if you're working through the pattern and it's frustrating you and you don't think you can go on, stop and let me know, the sooner the better. A frustrating sewing pattern could indicate two things: one, there's something wrong with the pattern and two, it's not compatible with your current level of skill or experience. Either way, you shouldn't be pushing through with it, so talk to me about that, too. I am looking for FOUR people to be alpha-stage testers. Naturally, this makes no sense to you at all, so here's a screenshot from an old post in which I listed my working sequence for creating a sewing pattern. (Note: every patternmaker has their own process and level of perfectionism, and this is just mine.) 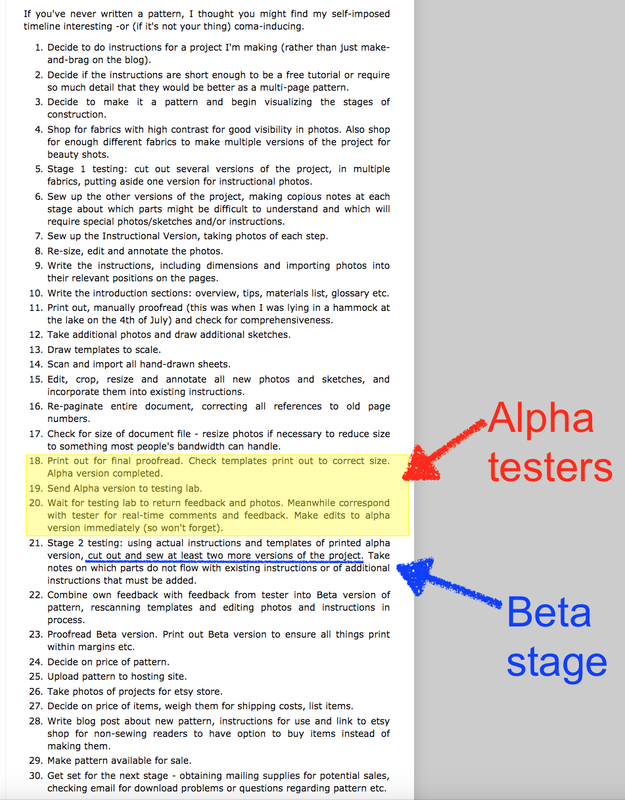 Essentially, there are at two main stages of testing in my process: the alpha stage and the beta stage. The alpha stage is the first testing stage. Testers at this stage are the first people (other than me) to see any version of my pattern. The pattern itself will have gone through three or four drafts and have been spell-checked and ferociously edited. The instructions are the outcome of about 5 -10 prototype samples, representing the 5-10 evolutionary stages toward ensuring that the templates fit each other, the instructions match the photo annotations, and the sewing process works from start to finish in my own sewing room. However, because only my eyes have seen it up till now, it may still have typos I overlooked, incorrect page references, words that are missing because they got stuck behind photos because I messed with the layout at the last minute. Then there are the more experiential aspects: for instance, the materials I'd used may differ from the ones you might choose, simply because we'd have interpreted "fleece" or "medium-weight interfacing" differently, and your experience unwittingly working with that different material will provide me valuable feedback in fine-tuning the precision of my descriptions. 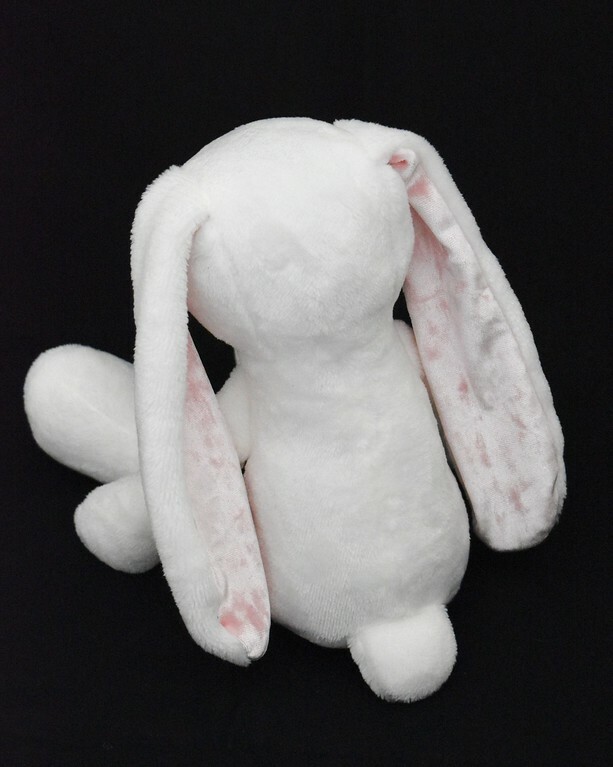 More importantly, the instructions that have made sense to me through 10 sample Bunny prototypes may not make as much sense to anyone else who hasn't yet sewn one, and it could be that I need to find clearer ways to phrase certain things. 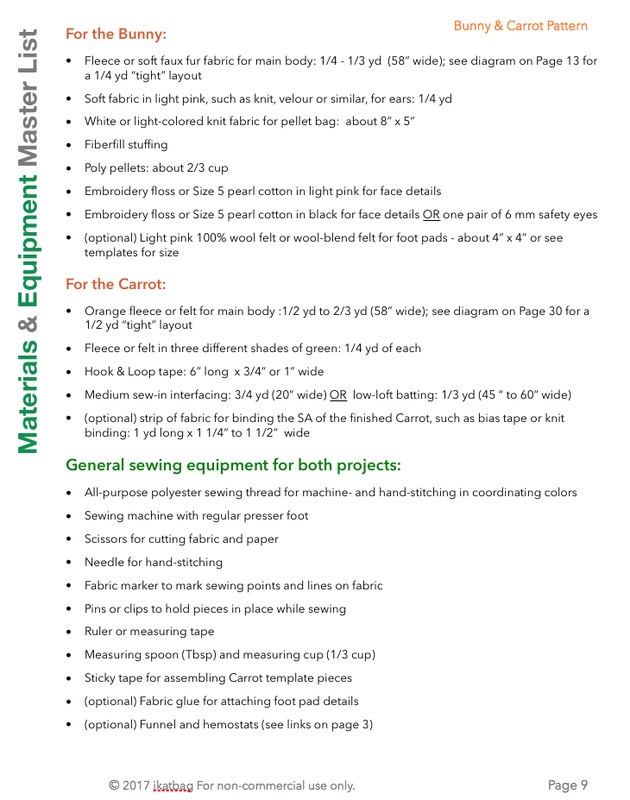 Your task as an alpha tester is to use those instructions to produce a sample prototype in your sewing room, just as I have done in mine. With the feedback I receive from your testing experience, I will edit the pattern accordingly: add new explanations where they were inadequate, correct wrong bits, and more - and then use those new instructions to make a couple more samples to experience firsthand those improvements to the making process before incorporating them into the final version that goes on sale. 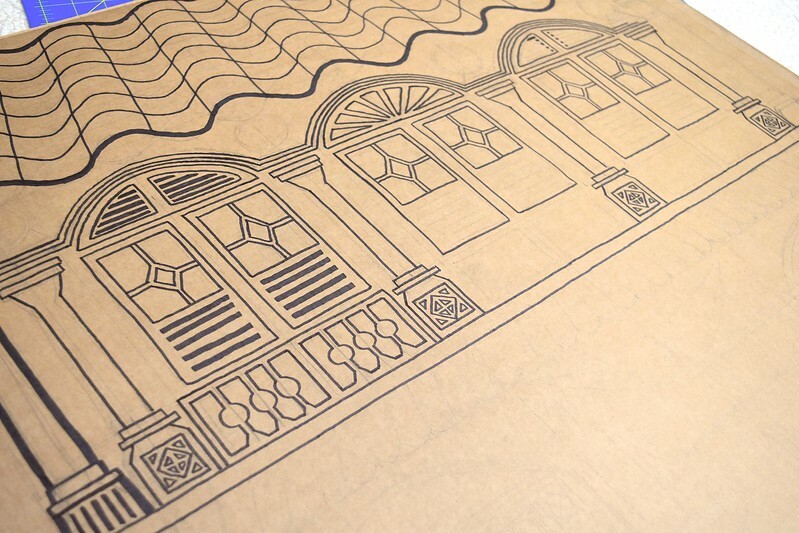 read the entire pattern (there are 47 pages in total, including 5 pages of templates). 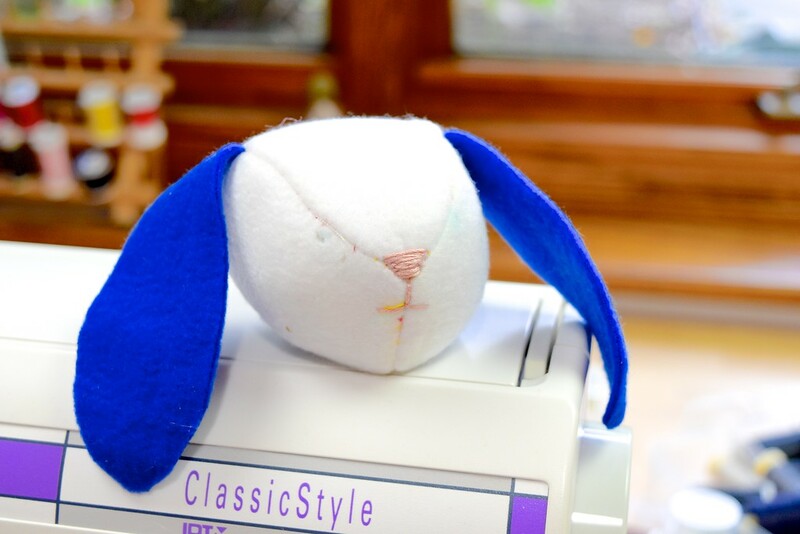 follow the instructions in the pattern to make ONE Bunny in fleece fabric. 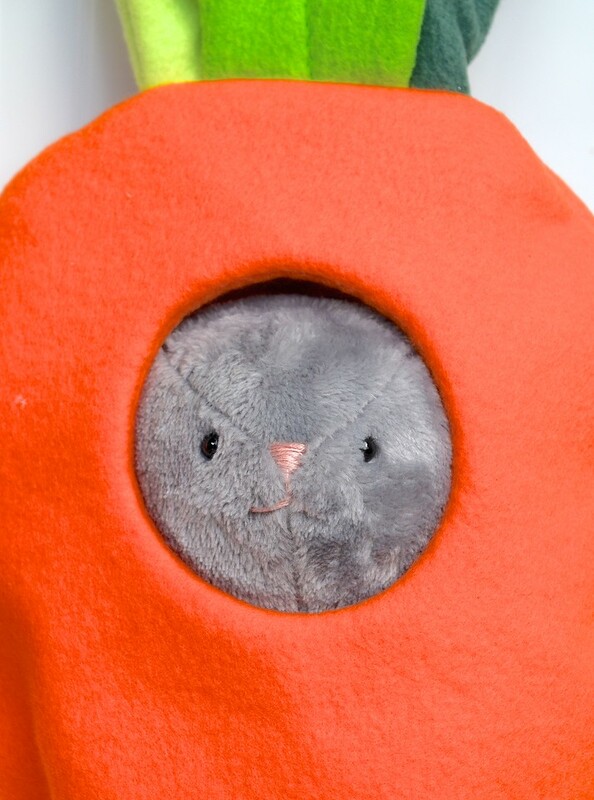 follow the instructions in the pattern to make ONE Carrot in fleece fabric (or felt). 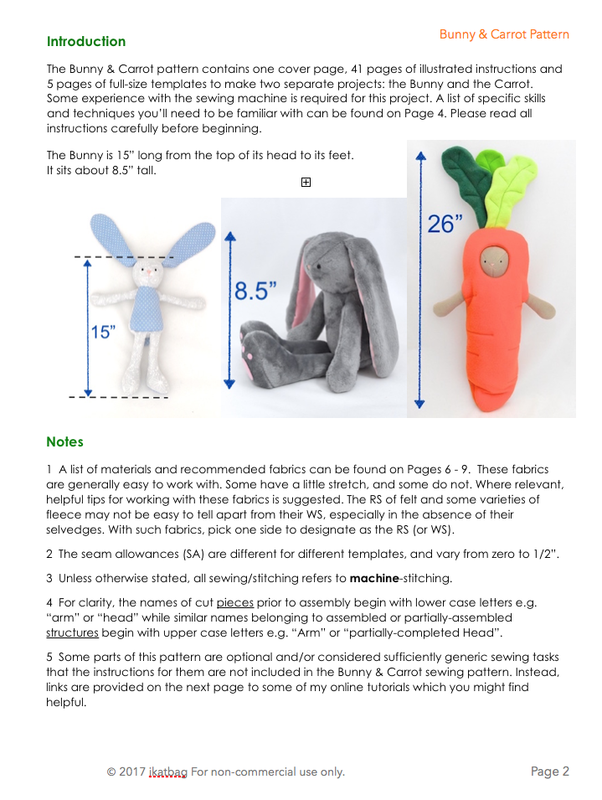 submit feedback to me on various aspects of the pattern itself and your experience in making the Bunny and Carrot, including the clarity of the instructions (judged by the ease - or difficulty - with which you were able to follow them) and the suitability of the project for your sewing level. I will send you an email with specific questions that you can answer as a guide, or you may write your own feedback in any format you prefer. 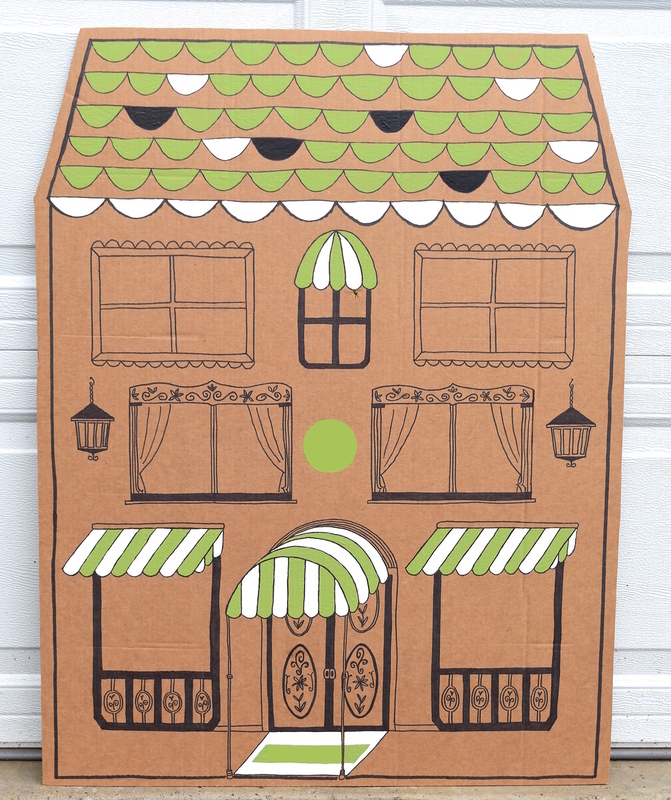 take photos of your finished projects, including the parts that may have been difficult to construct (you don't need to have a fancy camera - a point-and-shoot or even your phone camera will work just fine). Don't be daunted by the potential difficulty of obtaining the recommended materials. 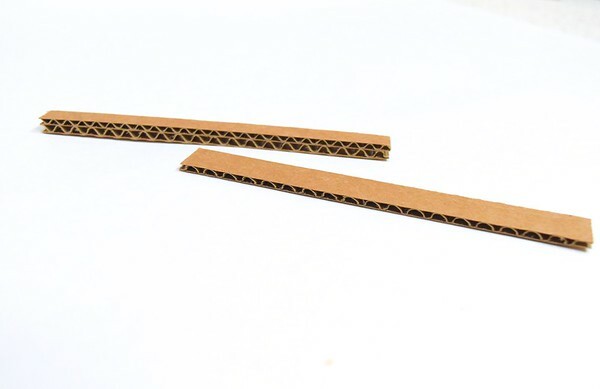 While I believe it is a more objective testing process if you provided your own materials according to the Materials List, I understand that not everyone has those materials in their stash, and that shopping for them costs money and time. 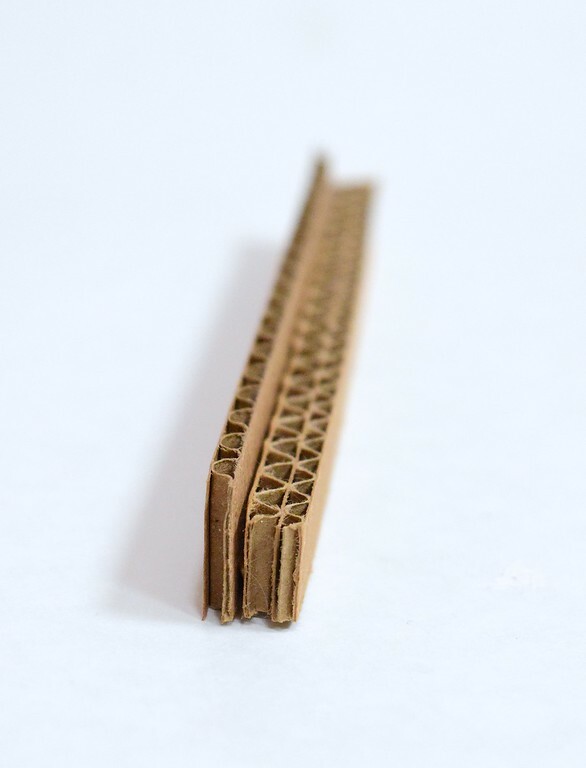 If you live in the US, I am happy to send you at least some of the materials you will need. 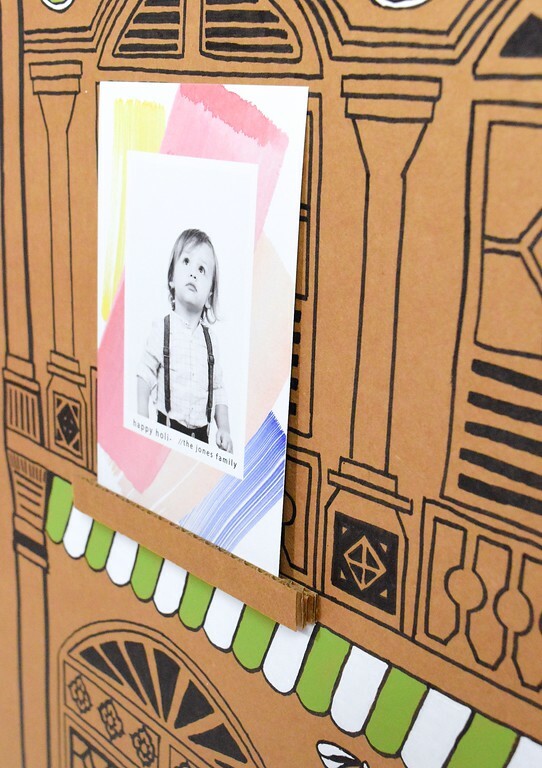 Unfortunately, I am unable to send materials internationally because the long transit will not work with my timeline. As a practice, I don't specify a sewing level for my patterns. 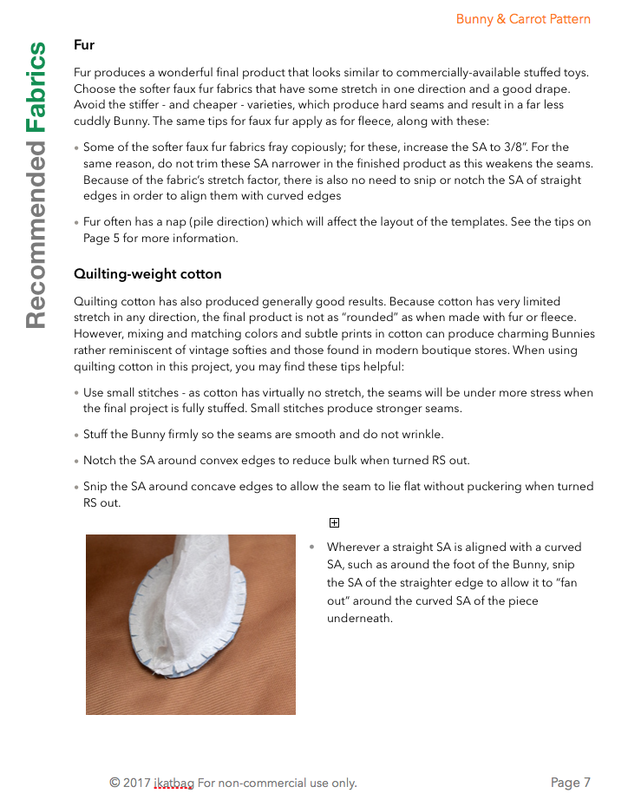 Instead, the list of Prerequisite Skills should give you an idea of what sewing tasks and knowledge are required. There are no zippers or buttonholes in this pattern and no extraordinary 3-D visualization or manipulation. 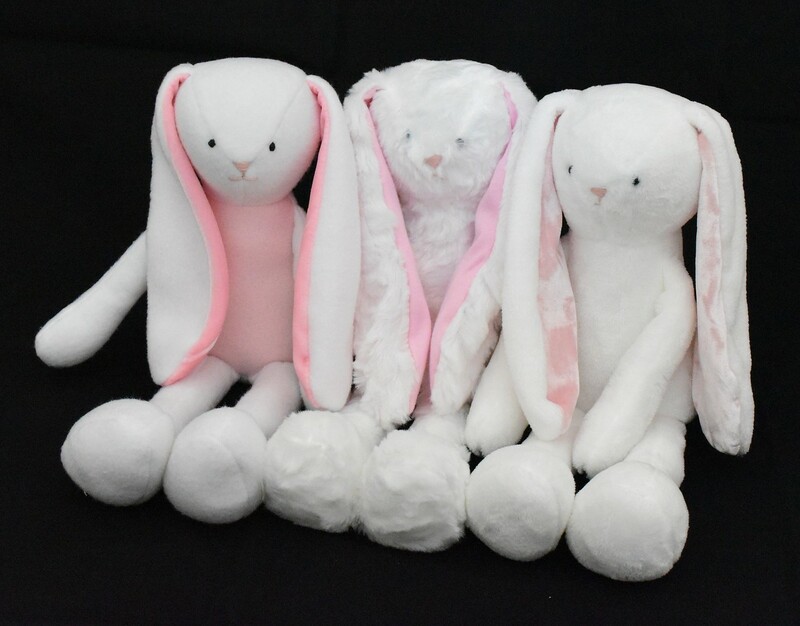 I would say that if you've sewn a 3-D stuffed animal before, you can use this pattern. It'll be partly a first-come-first-served thing, but I'll also be considering your specialized sewing experience in my decision. 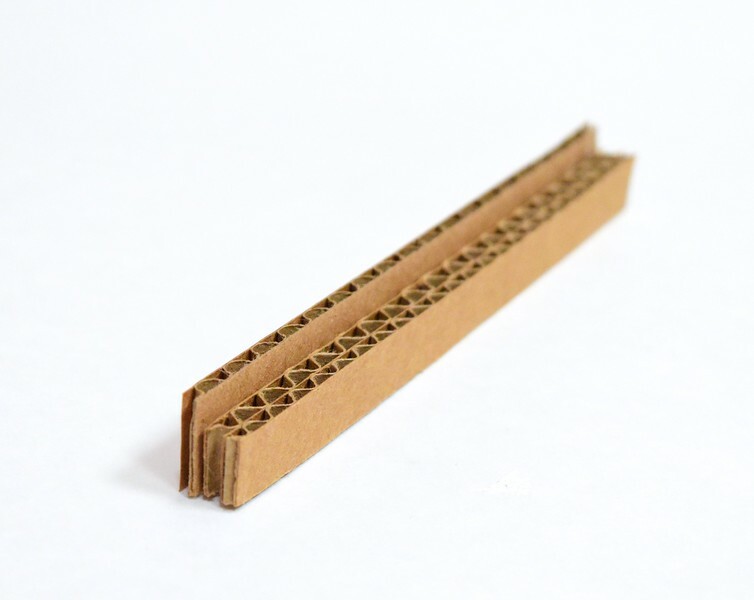 I'm happy to consider anyone from any country, although if you need the materials sent to you, you'll have to be a US resident. I hope to pick the four testers by the end of the day on Monday 10/23 so I can get the materials in the post on Tuesday. Feel free to shoot me any questions you might have!